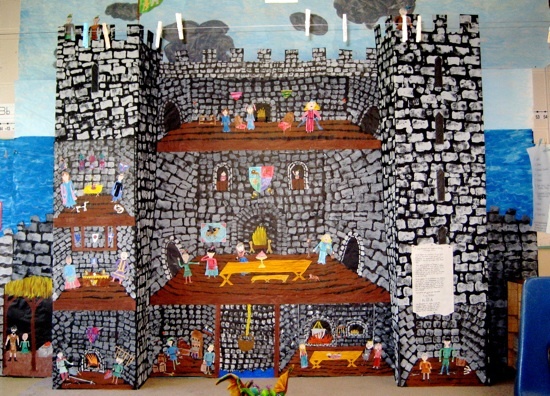 Castle “frieze” from the Storyline. 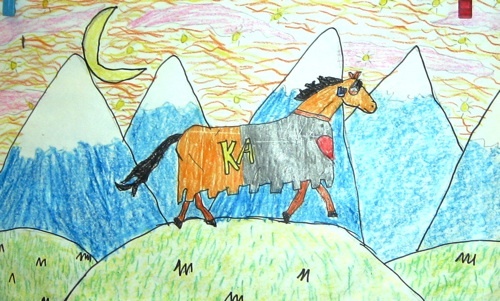 A drawing of knight’s horse. You don’t know one speck of me. I am Wiley the chapel monk. I pray day and night. God tells me many things about wars and terrible things that have happened in our fearless land. I am fair and caring. I follow the rules of God. I pray seven times a day, like the rules say, so I am good and holy. I do everything the king says. I help everybody in need. I do the work I need to do. 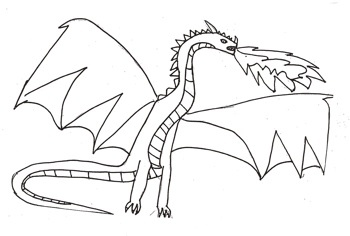 I tell you if there is a battle or if there is something terrible happening. The thing is, I really want to be a knight that is strong and willing. I want to be a famous knight that never loses battles! I want to be rich. I want more fun than sitting in a chapel and praying. I just want to impress you. The tasks continue as they write stories, dance, draw, make music, and learn the positive character traits that every knight must have. The biggest challenge involves a quest on which the knights-in-training are to journey to a far land and bring back a legend for King Arthur and all the kingdom to hear. 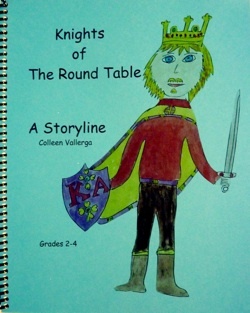 In the end, the knights-in-training are as dubbed Knights of the Round Table by King Arthur. 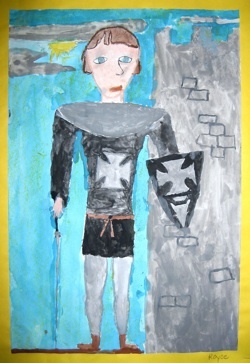 One of King Arthur’s Knights. 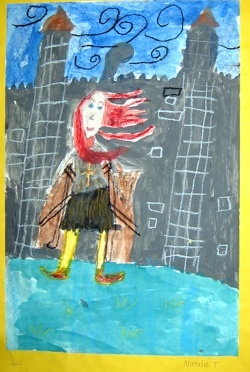 One of the student’s characters. 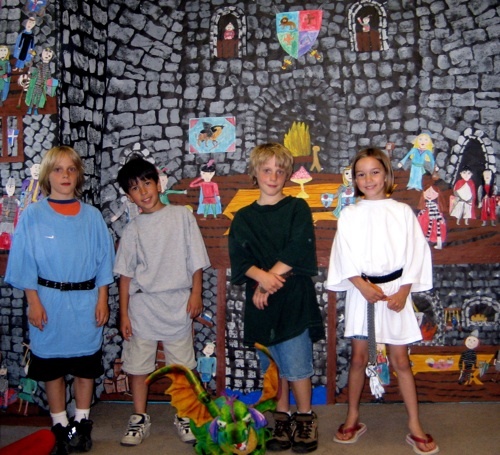 Four of King Arthur’s knights.